Today the U23 riders took center stage. 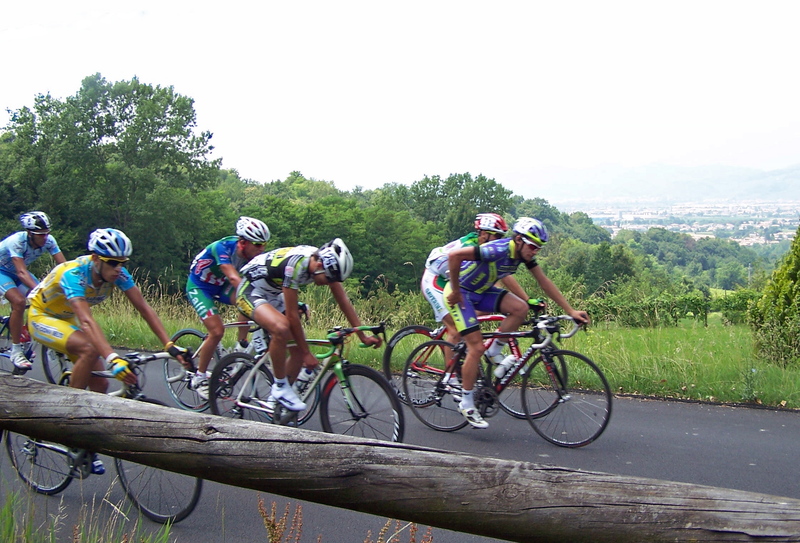 Their race took place in the hilly, picturesque area northwest of Conegliano. I had an appointment later that afternoon and didn’t have enough time to ride to the race and back, so I drove to a town near the course, then rode my bike to the first viewing spot I’d chosen. I’d been up the climb before, knew it was steep, and was hoping there wouldn’t be many spectators (especially more of those old know-it-alls with their cheeky comments…about whom I should note that they are invariably folks who’ve never done any serious cycling and are probably envious). Thankfully there were few people, and I had no problem getting up the climb. After using all the strength and concentration I could muster to get past the steepest part, I was able to steal a glance at my Garmin GPS and saw that the slope had eased up to…13%! The road climbs past the Castle of Collalto, south of Pieve di Soligo. According to legend, it is haunted by the ghost of Bianca, a young servant of the countess Chiara, wife of Count Tolberto. The countess’ jealousy led her to believe that there was a romantic relationship between her husband and Bianca, and when he went off to war, she had the innocent young woman walled up alive. I watched the race go by at several points, wishing I could stay longer and ride around the entire scenic course. One of the ironies of bicycle racing is that the riders don’t get to enjoy the beauty of the the countryside they ride through. 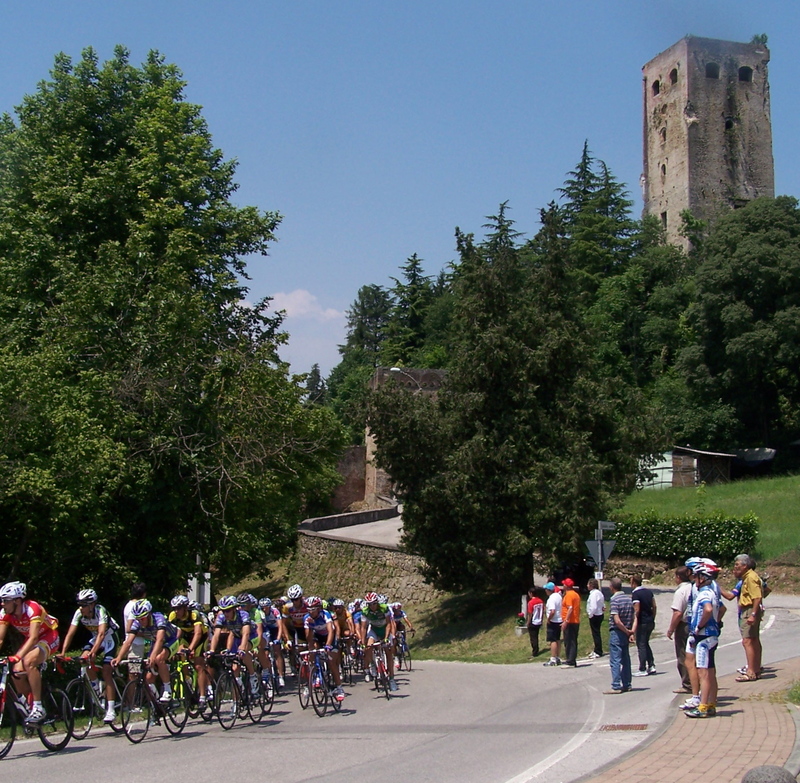 Following races, though, takes us spectators to many enchanting locales that are a delight to ride in.